Grew Up… in Ireland initially. When he was nine, James and his family moved to the United States. But his father ended up deserting his family soon after that and returned to Ireland to commit suicide. This forced James to grow up fast and take care of his family working in a machine shop. Needless to say, his family never had any money growing up, which contributed to James’ miserly ways today. Living… at his summer house with his wife, Mary, in the early 1900’s. His sons Edmund and Jamie are grown up now, but they have both recently come back home to live with them. Jamie is home for the summer because he has no job and needs a place to stay, while Edmund, more distressingly, has been feeling very ill. Tonight, everyone has gathered together in the living room. Profession… former Broadway star. James rose from poverty to become a successful and critically acclaimed actor. James was the lead actor in a play that showcased his acting talent years ago, and he subsequently toured the country with it. James, now in his old age, is frustrated that he's became pigeonholed into this one part. He did it for the money, but he wonders if that was the right thing to do. As he says to Edmund, "What the hell was it I wanted to buy, I wonder, that was worth – well, no matter. It's a late day for regrets." Interests… Shakespeare, whiskey, and pinching his pennies. Relationship Status… married to Mary. James and Mary had been happy in the past, but their marriage has deteriorated over the years. After she gave birth, Mary developed a morphine habit she has never been able to kick. And now Mary has just come back home after another stint at a treatment facility. Although she appears healthier, she's still got some leftover anxiety from her addiction, a certain restlessness, and insomnia. Challenge… dealing with his family. His wife is an addict, Jamie loathes him, and Edmund is getting sicker and sicker. And James is slowly coming to realize that he is partly responsible for how dysfunctional his family is. He is going to need some more whiskey to get through the night. Personality… opinionated, proud, and self-involved. James cares about his family, but he cares ultimately the most about himself. He finds it hard to accept other options and constantly berates his sons about their choices. Overall, he has good intentions, but his actions at times lead to more harm than good. James Tyrone's popularity ranking on CharacTour is #4592 out of 5,000+ characters. See our top-ranked characters and read their profiles. 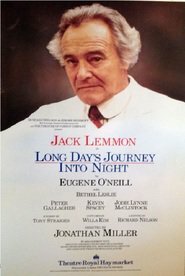 Adaptation of Eugene O'Neill's play.